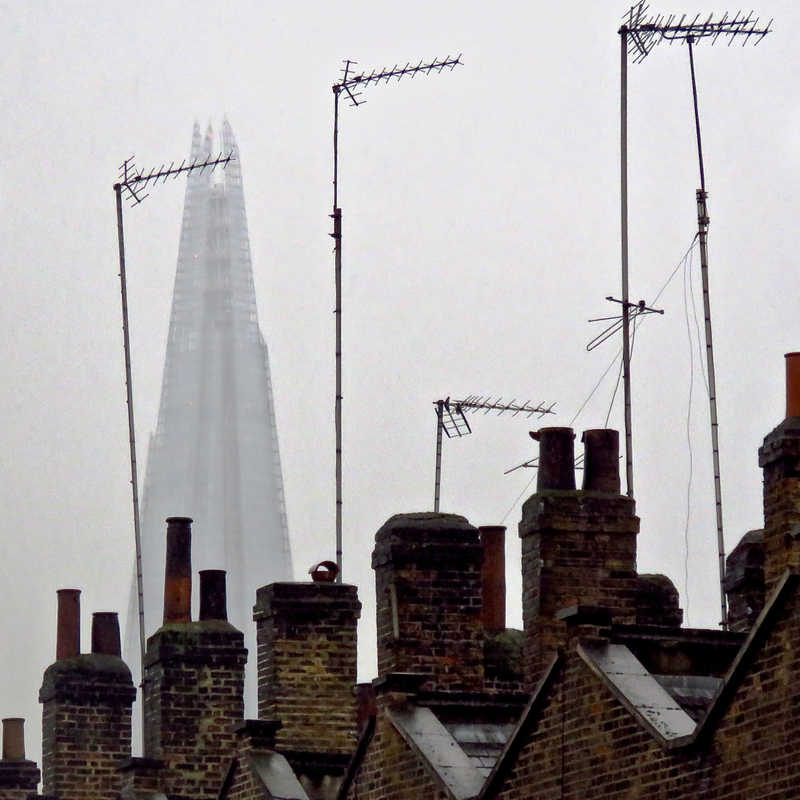 Old and new London… Renzo Piano, architect of the Shard — tallest habitable building in Britain and the second-tallest freestanding structure, after the Emley Moor TV mast — claims to have been inspired by church spires. Myself I think he was inspired by Tolkein. If this isn’t Sauron’s tower Barad-Dur, I don’t know what is. Started the first day of my working week in London, travelled to Manchester, finished it at home in Hebden Bridge. This guy may not have left Argyle Square in that time, but I’m sure he was just as productive as me in the end. 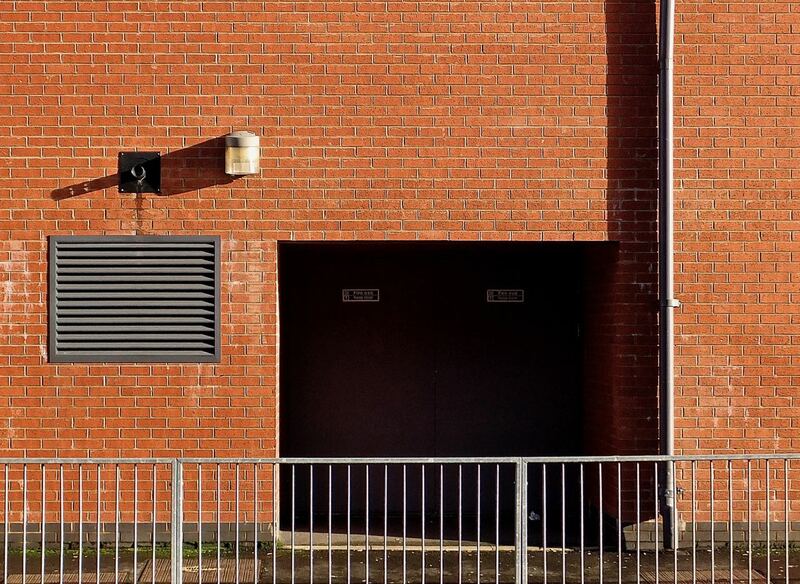 I like all the vaguely different colours of brick on this shot. The Academy is the University of Manchester’s principal music venue, and has appeared a couple of times on this blog from the inside, most recently a few weeks ago when we saw Gogol Bordello there. So here it is from the outside, one of its facets anyway, a study in line and shadow.